For my birthday in December I was lucky to score a pair of T-Rocket Yeti Sandals. • I set the tension of the thong through the toe. All set... and like a mad athlete with a new toy, I just had to head out for a run!!! 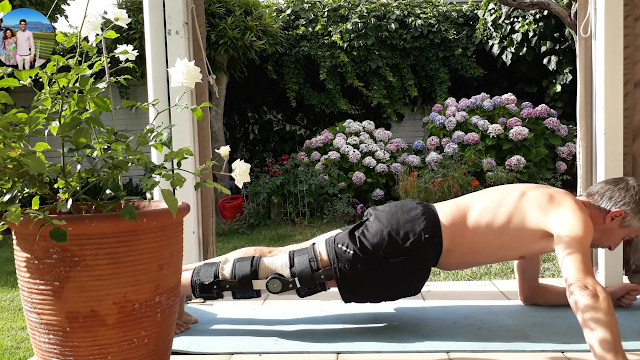 Only 1.6km around the block but it was enough to test if I had the straps right, if I was ready to do some real running. I did tinker with the straps a bit, but it's easy. 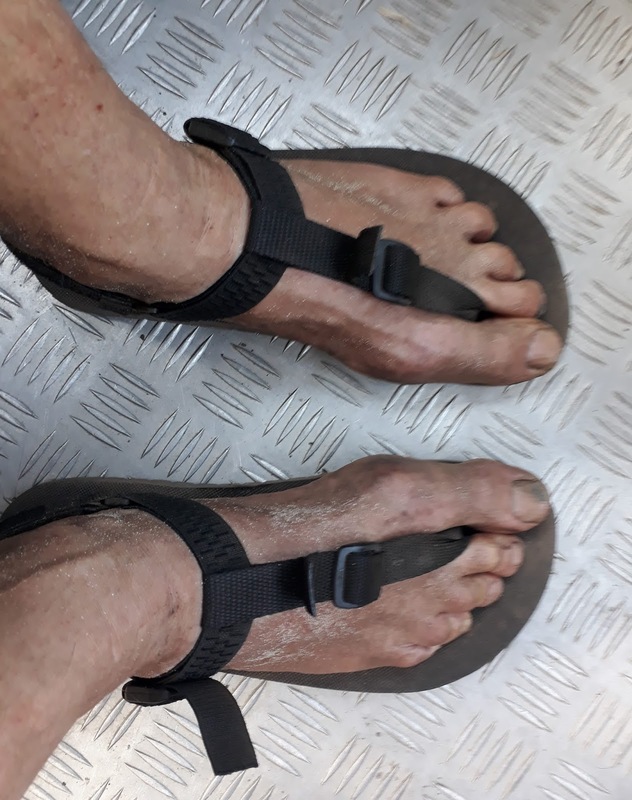 Most of you would wear flip-flops, these are not flip-flops, these are sandals, so they 'stick' to your foot! So if you shake your foot around it doesn't come off! 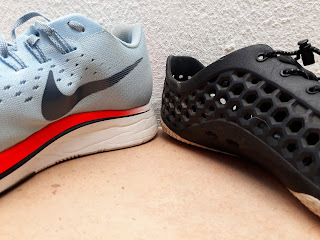 No wait, let me tell you this first, I have been running in 5-fingers, Vivobarefoot shoes, and NB minius for years now so what I'm about to tell you about my runs not everyone can do! 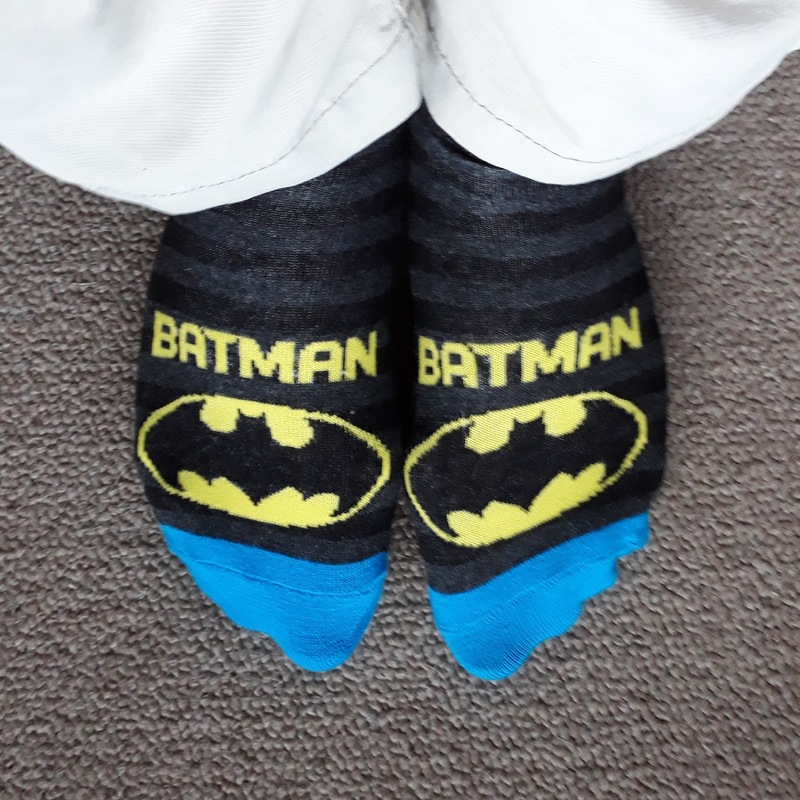 • Run 2 (5 Dec), 4km pushed for time, but had been wearing them in the house. 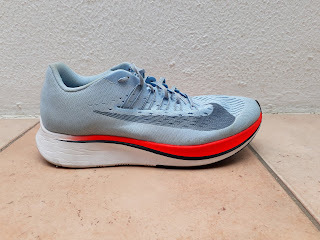 • Run 3 (8 Dec), was wearing them as I drove to the track... ran in to enter a couple of track races!!! It felt comfortable! Kept them on for a 3000m track race, a 1000m race and the Mile. • Run 4 (12 Dec), 14km on the road. • Run ? (23 Feb), 14.3km 2h06 real trail, single track on Vlakenberg 700m climb. Wow, I've run a bit of everything in them... from the runs above you can see I've run road, gravel road trail, rocky single track trail and track! yes tartan! Only pic left of me on the track, with me 40 years ago! Now what do they run like? I'm having a ball in them! But it's just a hard piece of rubber under your foot! Truth be told, it's not that hard, it bends and wraps around anything and has enough give! Have you ever been on a tartan track? Well next time take you shoes off and go for a run! That was what it feels like! Don't ever get near a track? How about the carpet at home? Jog down the passage! When running I feel someone has rolled out thin rubber mat in front of me, yes I feel the rocks and stones but you want to feel the ground so all is good. The rubber is thick enough so sharp rock aren't a problem. What I can say: that 3rd run, the track races, my toes felt a bit of a burn, the type of burn you might feel running on the beach... so start easy for a couple of runs, till you get use to running in sandals. Blisters? No problems, No NOT even between the toes, the foot doesn't move! I can say, the little plastic that connects the straps was uncomfortable for a bit, but I sanded the ruff edge off and I don't feel it anymore. Another thing I've noticed is that in the wet, while the soles might still grip to every rock and road, my foot wanted to slide a bit... this just meant taking turns a little slower. No problem on the road, but on a twisty trail... if you are a racing snake you will be loosing a bit of time! I also felt, due to the fact you don't have big lugs, some loose rocky down hills slow you down... ok they slowed me down. That said I'm old and take them slowly in any case! Who should own/run in a pair of sandal? Most of you will just put them on for a jog round the block, to walk to the beach, to go shopping in! 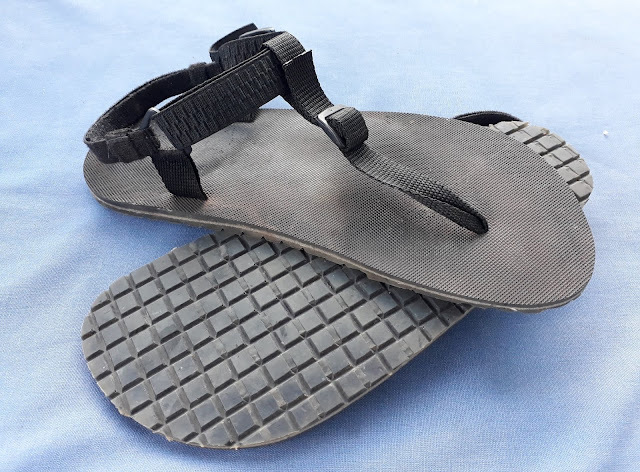 A sandal is not a flip-flop it allows your foot to relax and move freely strengthening it. Strong feet, good for running. Back in 2014 I was lucky enough to be on holiday in Croatia and ended the trip running and winning The Ston Wall Marathon! It's a small marathon (about 20 people that year) and the prize wasn't €250000 it was a painting by a local artist and a small trophy.... and they said; if I returned the next year they would give me a free entry and 2 night accommodation! Wanting to see more of Croatia and it's neighbour, Slovenia, we started saving!!! 2015, 2016, 2017, all passed... All this time I kept in touch with the Marathon with the odd comment of FB. Roll on 2018 and we were heading back. I contacted the organizers and wait for it... 4 years later they still honoured the prize! Having had time off for an injury I started training from zero in March! Over the last 6 weeks I had built up quite well and if I had been lining up for one of the fast City marathons I would have set my sights on stealing a sub 3... Ston is not fast! • You Run because of the Adriatic and it's views. Spent some time catching up with old friends, the organizers, and 2 guys who had run it 4 years ago with me! Antonio from Spain, this would be his 5th run. And a guy from Split in Croatia this would be his 10 run. (It's only the 11th running) And making new ones... an English lady and her husband, Bikers! Next time he says they'll cruise down on their Harleys! 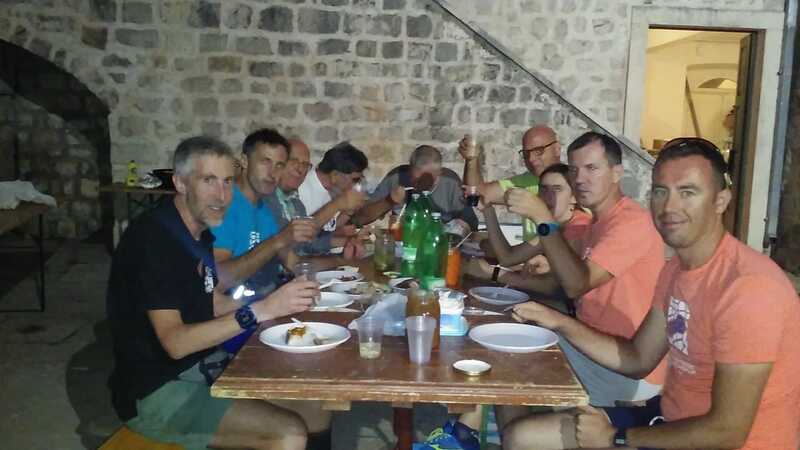 While in Skradin we met a runner, Mikael, organizing an ultra for diabetes awareness. Having told him about the race he decided to pop down and run. Then there was Dion (great name for a runner) and Australian who had travelled to Croatia for the world 100km champs but had a small injury and didn't want to race 100km and get properly injured! 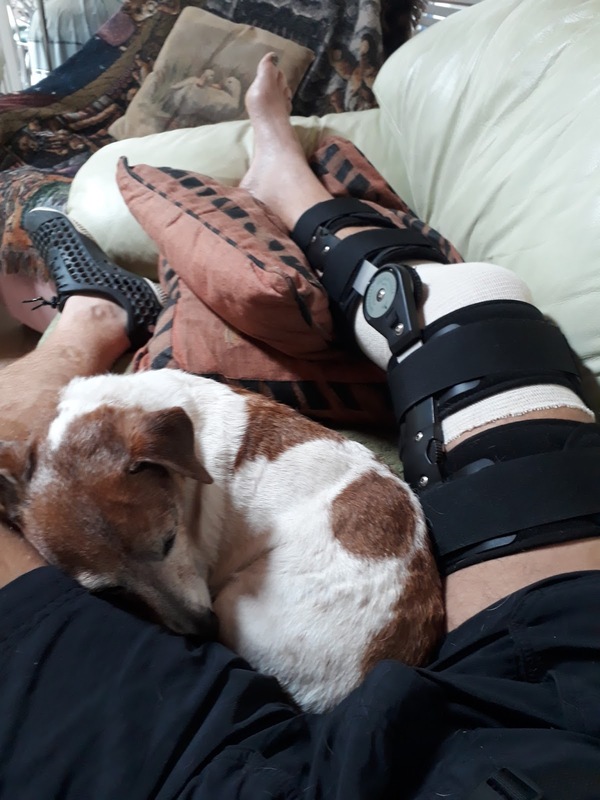 So after watching his team mates race 100km he was now on holiday and with the injury coming right thought a little marathon would be a good idea. With Ozzie Dion in the field my hope of a 2nd win was off the cards, but never say die!!! 7h30 found us on the startline ready to go. I set off at sub 3 pace... the first km is easy as you head down the main road to Ston. Dion joined me with Antonio and a Frenchmen behind. I wasn't running smoothly but I was running ok as Dion entered Mali Ston and started the climb up the wall. I was not far back. The wall runs from Mali Ston to Ston, half over a mountain! 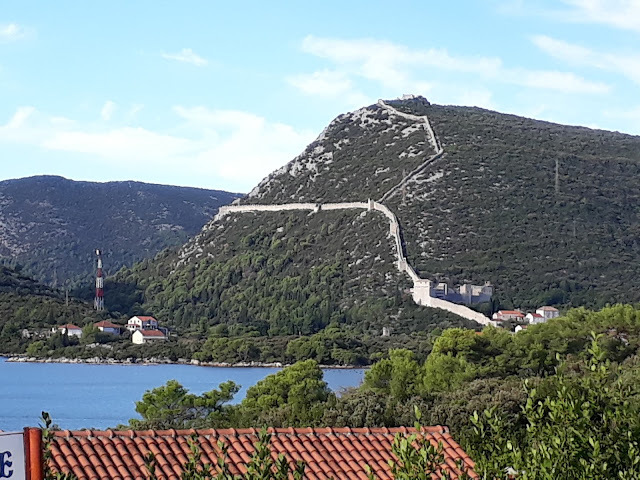 We climbed 120+ meters over the next km only to climb down again... before running round Ston on the wall (more climbing as the wall also served as a lookout!). While Antonio had caught me I had caught Dion and the 3 if us left the wall together... race on! Dion showed his youth and 2h24 marathon pace by pulling away as we hit the flat. 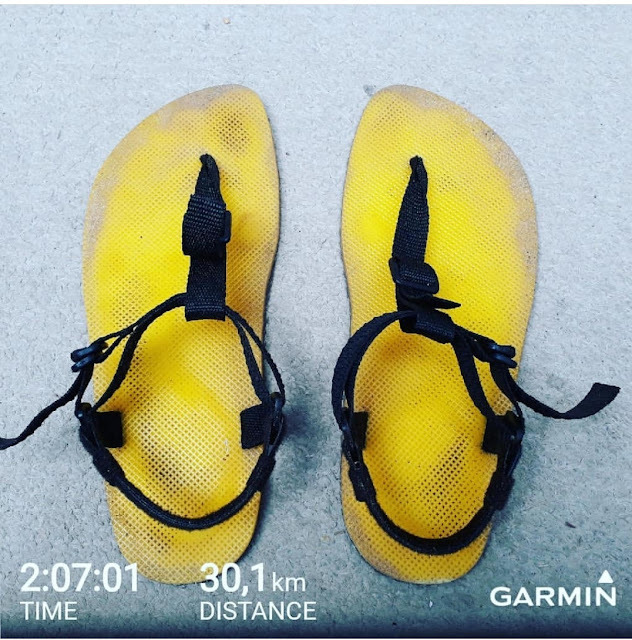 I couldn't find any rhythm in my running... was it the heat that was climbing and would almost reach 30°c, was it the humidity that had been draining the life out of one through the European summer? Or was it the 1500km of driving I had done while having my amazing holiday? I will never know. The Frenchman caught Antonio and I before the next hill and while I thought I could go with him I didn't, saving the legs. I was planning on running him down later. With the Frenchman pulling ahead in 2nd Antonio and I traded places till on the way back at about 18km when I stopped to walk a bit of the hill and take a Turbovite! 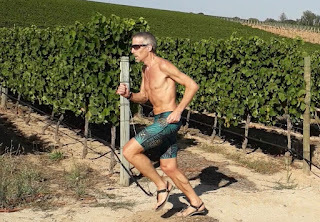 I was melting so I took off my shirt and with a new lease of life I set off the pull back the guys ahead. Dawn was at the top of the hill on a bike so I tossed her my top and got focused for the job at hand... hunting! 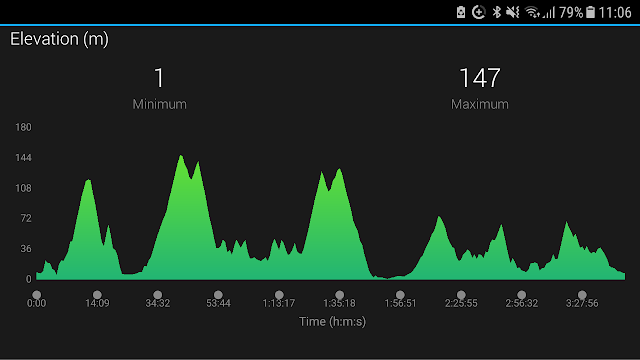 It was easy to up the pace to 4min/km on the down hill, but once on the flat again reality set in! At about 26km we passed Ston for a stretch down the other side of the peninsula. The beautiful views and picturesque small villages did nothing to spur me on. Goals had changed and staying in 4th and staying under 4 hours now took priority... Dawn was taking more pictures of the views than me. 35km and the turnaround finally came, it had taken forever! Me... I run in, yes I was running, slow but running, crossed the line in 3h49. It wasnt my best marathon and while I was thinking I should have run about 3h20, I'll take it... I made it through in one piece and while I didn't enjoy all of the race. I enjoyed the fact that I have it in me to fight to the end. Who knows, maybe I'll make it back... would love too. 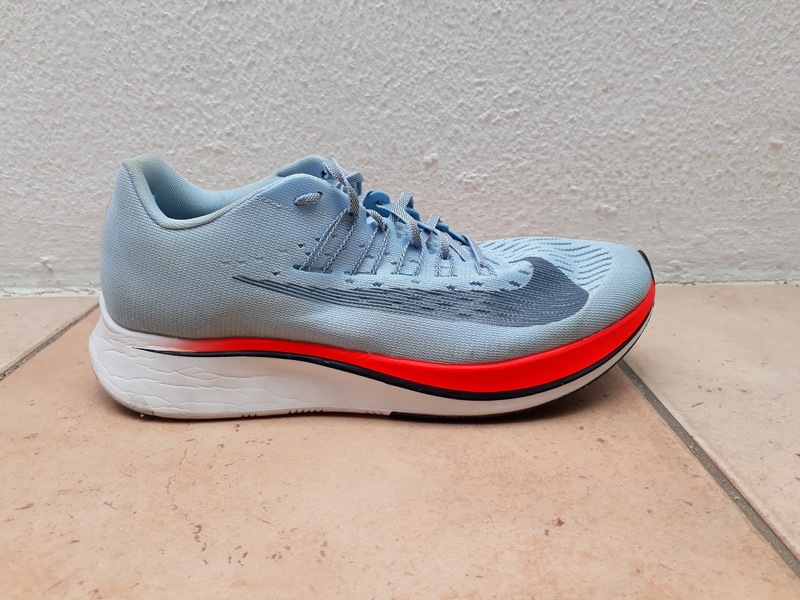 So the other day my friend Grant from RUN asked my if I wanted to give his Nike Zoom Vaporfly 4% a test run.... hell yes... I grow up running in Nike! This was going to be an interesting run... not only because of the reasons above, but his feet are a full size smaller then mine! Knowing I would never get another chance at trying this news making shoe I squeezed my feet in and... walked around the office. It was Friday, rest day and it was raining, so my run would have to wait till Saturday. Some 90 min after I started I found myself squeezing into the Nikes... my run wasn't going to do them justice! Such a pity... I turn and headed I turned back after 1km. Tried on the way back to run freely but the shoes were just to small. Should it be band? As much as spikes should be band on the track! It, like a number of other shoes on the market had quite a bit of cushioning... but not marshmallow soft. I wasn't sinking into the shoe like I had some other shoes, making running fast impossible. So it looks Nike is one up on those shoes. 4% faster... I don't know... Now as for the run: it's not easy for me to tell you much but there was a hint that the shoe would run well. I can tell you this: with my big foot squeezed into the shoe I was feeling pressure on the ball of my foot. I wrote it down to the size of the shoe and the fit, but then, my wife, now back from her run. Thought she would take them round the block. Her foot went in easy the shoe a couple of sizes too big. But with the laces tightened off she went. I couldn't run fast enough or long enough to let you know if the shoe really works magic with the way it's put together. Maybe I'll get hold of a pair that fits one day and let you know. I've always said it only takes 4 weeks of training to run / race a marathon or any race for that matter... so with 5 weeks to my marathon it's time to put that to the test. I've been running again since 1 Feb, started with 2km! By May I was running 10km and I was ready to start building a base. The last 4 weeks I've built up to 90km. This last Sunday I lined up for John Korasie 30km, not an easy race, but a nice route. I wasn't there to race, but to run easy to 9km (up Red Hill) and then MP to the end. 21km in sub 90, or more importantly still be running well in the last couple of km. He stopped, right in front of me I almost had to stop in mid stride and then start up again, on a hill into the wind... I was on my own! Now, no cheating in these weeks as the log book never lies! I have a little base, something to work with, let's see what my marathon holds. One of the biggest problems with a comeback is getting the, now soft, body accustomed to training! Day 1: 15min on the Bike! I want to say that was easy, but having not really bent my leg for the last 3 months it wasn't easy to peddle without my seat as high as it would go. Day 2: 35min on the bike and the knee has started loosening up. Day 3: and I went big ... a full hour on the bike! Day 4: Monday back to work and on the motorbike for the first time in 3 months. Sitting back a bit and I can get my leg bent enough to put my foot on the brake! An evening cycle up to the club and then while the guys set off running I followed. Good to be out. Days 5 and 6 pretty much the same as Day 4! I hit the go button on Ms Garmin and off I went. It wasn't easy... the track didn't slide under my feet... I didn't glide through the air inbetween strides. There was almost no knee lift, but I was running. The knee cap felt loose the quads felt tight but I was running... my senses were heightened to every niggle on every step I took! My head was working overtime deciding if the niggles were because of lack of running / training or the injury wasn't healed. 2km later I stopped enough for the first run. Day 8: Friday and I was up early... not to run, but the swim... 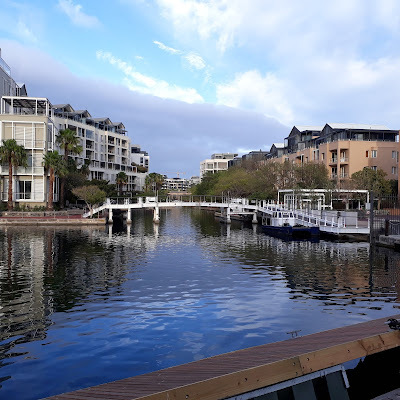 I wasn't heading to the gym / pool I was heading to the Waterfront and the canals. I squeezed into a wetsuit (great to keep the wind off you on the bike) and looking more like The Michelin Man then an IronMan I took to the water with the guys and girls from ATC. Enjoyed it and I didn't die... will be back! Ok the truth be told they were long gone before I hit the water and that's a good thing! Ms Garmin was ready and had started counting the seconds before I had time to think about what I was doing. Swimming is like riding a bike you never forget... my brain just takes longer to figure it out, to remember what to do. 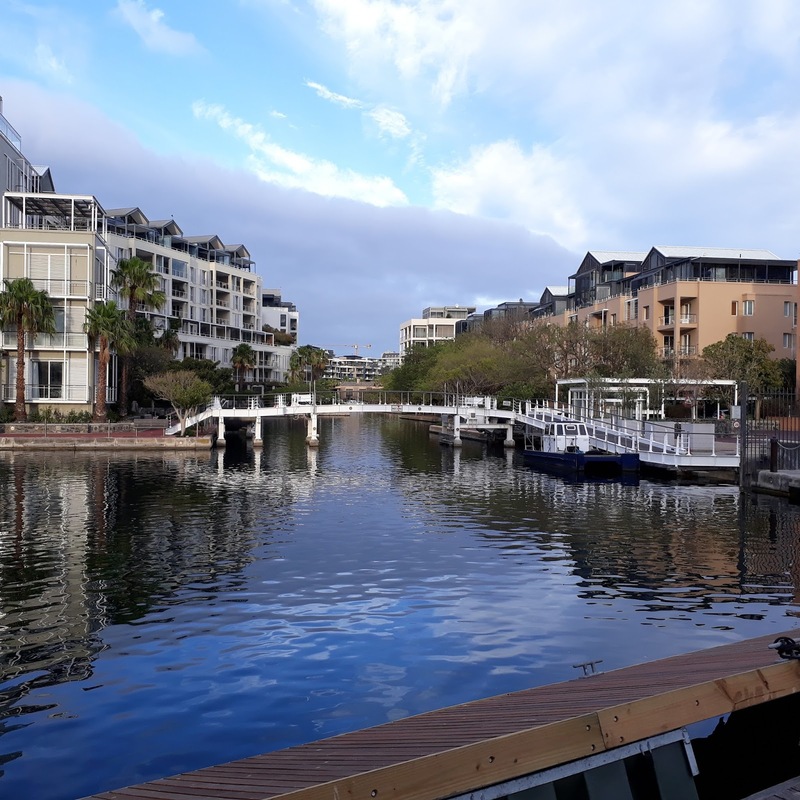 Good thing I was wearing a wetsuit... because if I wasn't I would have be crawling on the bottom of the canal, instead of doing crawl on top of the water! After what seemed like an eternity I could see the landing jetty and I swam on straight up... I wasn't going very fast so I didn't get very far up! I had no strength left in the arms but I still managed to pull myself up and slowly I inched my way up, like a walrus beaching on the ice! This wasn't the easiest ride. Oh boy I love training I love feeling like that... I want more... I've missed it! Over the years I've set many running goals but they have seldom been made on January 1st! They get set after reaching the last goal or when coming back from an injury. My comeback may only be starting on 1 February but I'm excited and scared, 4 months of no exercise has left me fat and unfit (by my standards). It's going to be a long road back. So the question is: What is this old body still capable of? I'm looking at running a marathon in September so everything I do from 1 February will be building to that. 2. Goal 2, to be running well at the end. No problem I said... Park Run here I come! That said it will take at least a month before running 5km is easy so maybe come March we'll think about the first test! Next goal will be 10km in 42min and then a sub 90 half. I know I should be able to run sub 3 for the marathon again, but can I do it off 8 months training? With 110 244km logged the body is in for repairs! 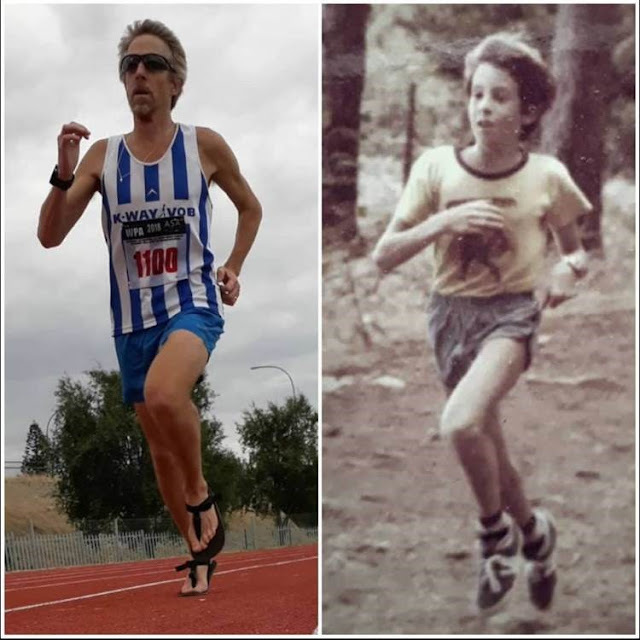 I've been running for a couple of years now... in fact I ran my first road race in 1986 (A 10km out in Belleville). Over the those early years I don't ever remember being injured... maybe a rolled ankle, but nothing bad enough to stop me running. Then in 1994 while racing my first marathon (hadn't run 1 in 4 years and the first 2 had been for fun!) I tore my one hammie. 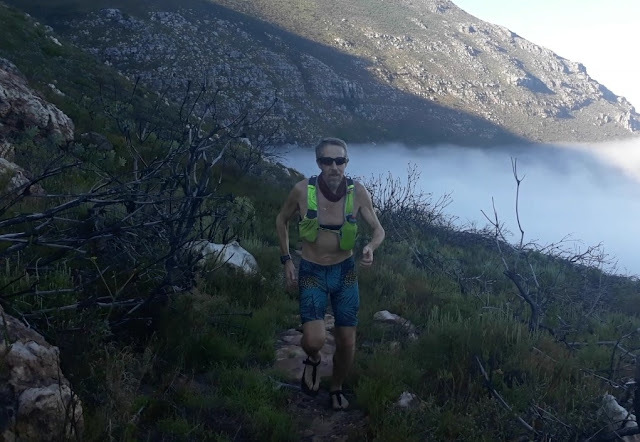 With about 5km to go it felt is if something jumped up out of the tar road to Bredasdorp and stuck it's cat like claws into the back of my leg... (yes I was running Voet) It wasn't a monster tear so I could run slowly while receiving treatment. And while one can only really guess, with hind sight it's a good guess... so I would say I had raced too hard the week before and because I really didn't know anything about racing marathons I wasn't really ready to race that fast. So the weak muscle just couldn't take it any longer! Over the next 15 years I only had a couple of calf tears. The calfs were strong but didn't have the elasticity for speed! Then in 2013 I tore both abductors! Think of it like this: think of your body as a piece of Boerewors. You can bend it no worries. Now take the water out of it... turn it into a piece of droewors, then bend it! That's an injury waiting to happen! 2016... smashed my knee and that lead to a meniscus tear! 2017... now favouring the other leg I tore the other meniscus! Shandy doesn't run with me but when I'm not running she's my best friend!